Beatrix Potter Peter Rabbit. 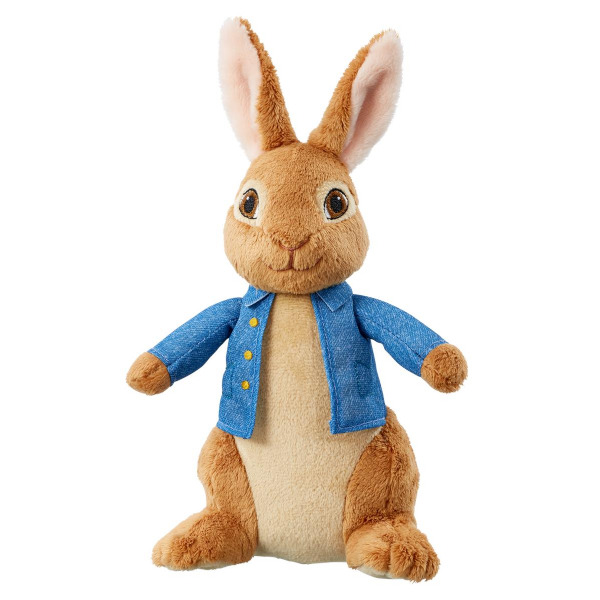 Styled on the fun-loving character from the new Peter Rabbit Movie, this 24cm Peter Rabbit cuddly toy wears his traditional blue jacket with ( brass buttons) and is suitable from birth. Made from soft plush with embroidered features.